Qualia's Title, Escrow & Closing Software is the fastest growing settlement software platform in the country. 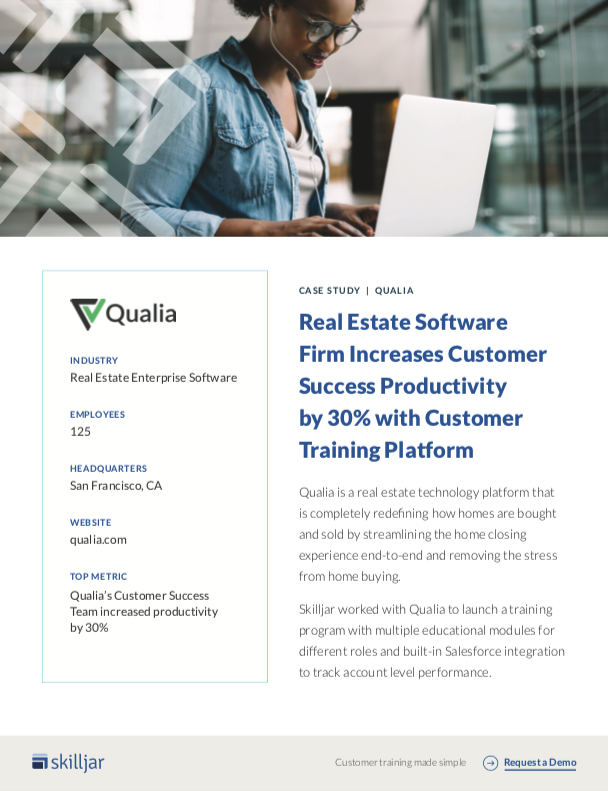 Seeking to standardize and automate its customer onboarding program and improve the productivity of its Customer Success Team, Qualia worked with Skilljar to launch a Customer Education program with multiple training modules tailored to different job roles. The resulting single-sign-on (SSO)-protected training platform has built-in Salesforce integration and enables Qualia to track account level performance to ensure new users understand the full breadth of Qualia's capabilities.